Thanks to author Anne E. Johnson for stopping by and sharing the origins of her Webrid Chronicles. Enjoy! Ganpril Webrid handed a clod of jamboro cake to the roadman. Obviously, I was expecting to write something very strange, maybe without a plot. I continued scribbling a few paragraphs as stream-of-consciousness. But, to be honest, that’s not my thing. By the end of the first page it was clear to me that I needed a story. So I imagined a character named Webrid, who (in that first scene) is selling low-quality cakes from his pushcart on a hot day in a dirty city. When I changed roadman to blue-skinned businessman, I started to get a picture of Webrid’s life: a working schmuck with little patience for the people he’s supposed to serve, and who feels like he’s not in control of his own destiny. Although that character description might be found in pretty much any genre, I approached the story as science fiction. And, considering the bizarre nature of the first sentence, I decided to make it extra weird, thoroughly alien, and funny. There are no humans or Earth in the Webrid stories, and the large selection of freaky species on display is influenced as much by Douglas Adams’s The Hitchhiker’s Guide to the Galaxy books as it is by the Cantina Band scene in Star Wars IV: A New Hope (ahem, otherwise known to people of my age as just plain Star Wars, thank you). To express the urban underbelly of Webrid’s world, I applied a layer of noir, complete with cutting sarcasm, off-hand slang, and sizzling babes. Combining such knowing, winking language to Webrid’s bumbling life and a posse of wacky creatures made for some fun writing. I hope it’s as much fun to read. 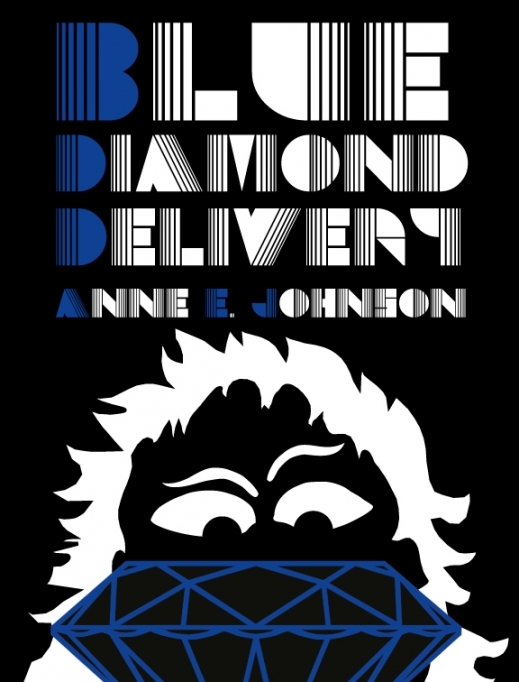 Although Webrid has two very different adventures in Green Light Delivery (Book 1) and Blue Diamond Delivery (Book 2), they have something essential in common: Webrid has no choice. He’s the victim of destiny, which repeatedly plucks him up and dumps him into circumstances where he and only he―with the help of some colorful friends―can solve a world-threatening conundrum. In the front pages of Blue Diamond Delivery, my publisher Candlemark & Gleam lists the title of Book 3 of the Webrid Chronicles. It’s called Red Spawn Delivery, and I’m writing it now. So, is that it? Is this a trilogy? Does Webrid get to retire for real next year and lead a calm life hanging out in bars and strip clubs? 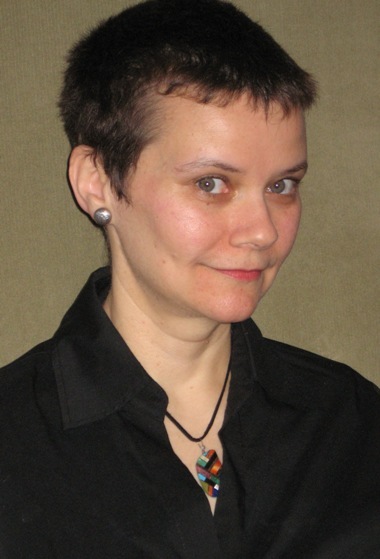 You can learn more about Anne E. Johnson on her website. 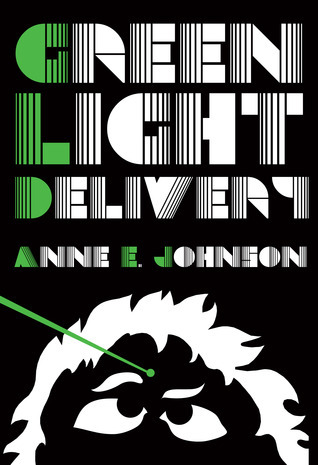 Purchase Green Light Delivery and Blue Diamond Delivery at Candlemark & Gleam and other retailers.